Alhambra Source is the only local news outlet dedicated to covering the predominantly immigrant San Gabriel Valley city of 85,000. 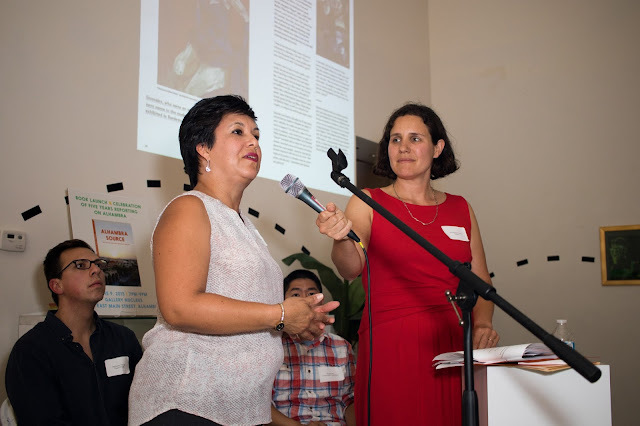 The site launched in 2010, building on two years of research by professors and students at USC Annenberg's School for Communication and Journalism investigating how local news can increase civic engagement in Alhambra and other diverse cities. Since then dozens of community members — working with a professional journalist — have reported on Alhambra. The site serves as a forum for local voices, and a platform for the expression and development of writers, videographers, and photographers. In section “About us” you wrote that you were investigating how local news can increase civic engagement. What are the results of this investigation? We have found in this case, and in others, that local news definitely can increase civic engagement. Civic engagement is defined here as civic participation (whether or not people vote, sign petitions, go to local meetings), sense of belonging (connection and ties to a specific place), and collective efficacy (can residents find ways to work together.) Our work is based upon a concept called Communication Infrastructure Theory that finds when community organizations, residents, and local/ ethnic media are active then residents tend to be more engaged. Your media community exist since 2010 and is aimed to cross ethnic barriers in a predominantly Asian and Latino immigrants. Can you affirm now that you’ve achieved this goal? It has achieved elements of that initial goal. Alhambra is a city of 85,000 people. Are all of them more engaged? Definitely not. But some of them are and have created lasting connections across ethnic lines. The project relies primarily on foundation grants and university support. 90% of our expenditures right now are on editorial salaries. This is not a good way to function. One thing we have found in the United States is that many media outlets have sprung up, but have not had sustainability plans and have disappeared. Some good samples for business models for hyperlocal sites, in the American context, can be found here: http://newstraining.org/ and http://www.newsinnovation.com/models/. How often and how many new people/journalists/youth write their stories to you? We have had more than 100 people contribute to the site. It has ranged in frequency from biweekly contributions from young adults and monthly to older people. Since most people are volunteers, I don't except them to contribute more than once a month. We publish two feature stories per week and about five short news pieces. We also aggregate stories from other media outlets. Yes! But perhaps if you don't you're not doing your job. We have had issues when we write about elected officials being fined for campaign finance violations, criticizing an ethnic group, or critiquing a development plan. Nobody has sued us - yet. Do you plan to expand your activities? We're in a transition stage. As I said when we spoke, I'm moving on to a position at California State University, Northridge, and hopefully a new community member will be taking over running the site. But, unfortunately, our budget is not in a place right now to expand the site. That is a great question. For my local news, I love The Eastsider, a hyperlocal blog that covers my community. I read the New York Times a lot, and think they are doing very innovative digital reporting as well as just great storytelling. There is a new publication in California, called California Sunday Magazine which is doing interesting work. And I have been reading more of Quartz lately, which I also like. Josh Stearns also does interesting writing on developments in local and community news in the US at the Local News Lab. Unfortunately, I don't know enough on this topic to comment. But I would be very interested in hearing your thoughts! For some nice stories, check out the attached document! And I have attached a high resolution picture of me with a contributor at a recent event we hosted. You can find more about the event here.